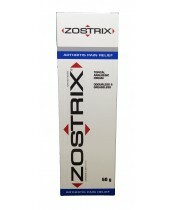 Zostrix is the company that is famed for its arthritis and pain relief creams. Zostrix uses purified capsaicin from chili peppers in all their products; it is proven to act on Substance P which is the substance that transmits pain impulses. Zostrix uses high quality capsaicin to treat the pain, in cream form, and with repeated usage of any of their products, aims to dull the pain impulses felt in the affected area for a better feeling you.